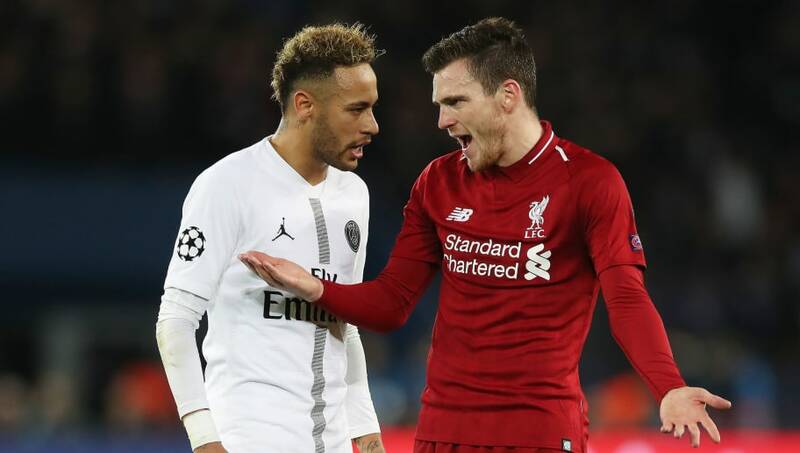 ​Liverpool midifielder James Milner is the latest Red to publically speak out about the behaviour of several Paris Saint-Germain players in their 2-1 loss to the Parisians at the Parc des Princes. After the game, which PSG won thanks to goals from Juan Bernat and Neymar, manager ​Jurgen Klopp admitted his frustration with the home side: "I’ve already spoken about it, and I know it will be the main headline – ‘Klopp said…’ and stuff like that – but the number of interruptions in the game just was not cool. "I said it a few times, two times in a row we won the fair-play table in England and tonight we looked like butchers when you look at the yellow cards we had. It was clever of PSG." In a similar outburst, left back Andy Robertson, as quoted by ​Sky Sports, proclaimed: "I suppose they were in the lead and they were looking to waste time. You can use gamesmanship, play-acting, you can use it all really. "I would like to know how much time they wasted tonight. It's frustrating when [Neymar] is falling like he is. It's all part and parcel of his game and we needed to deal with that. We didn't quite control our aggression." And now, ​James Milner, who was Liverpool's only scorer on the night, via the penalty spot, has also weighed in on the topic. Posted with the above picture, the 33-year-old wrote: "This just about sums it up... but one big night at Anfield and we're through." Regardless of the evident histrionics on display, the results means the ​Merseyside club will now have to beat ​Napoli 1-0, or else by two clear goals, otherwise they are likely to be knocked out, presuming the French side don't lose at Red Star Belgrade.